Are you buying a new home or property? Make sure you get protection from hidden damages that could end up adding to the cost of ownership. Selling a house isn't always easy. Our goal is to assist real-estate sellers who need to be aware of damages and defects that could affect the selling price of a property during negotiations. Stay up to date! Our Home Maintenance Inspection is for real estate owners who want to maintain the value and desirability of their real estate property. Trust us, warranty is a good thing! 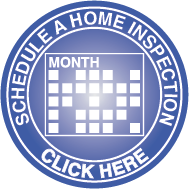 Our Home Warranty Inspection is for real estate buyers who want to be aware of damages and defects that may occur prior to the expiration of a home warranty. Should you get a radon test? The answer is yes! Ensure that you and your family are not at risk. It's never good to be in doubt. We want you to have peace of mind about your investment. If you have a roof that is too steep to walk on, has precarious angles…….no worries.